You don't know me but I know you. When a stranger approaches Julia Butler at her mother s funeral and hints at a disturbing family secret, her life is turned upside down. Who is this woman and how does she know so much about Julia's life?Grief-stricken, Julia finds her well-ordered life unravelling and her relationships in turmoil. As the mystery around the stranger deepens, she must not only make peace with those around her, but with the ghosts from her past to find hope for the future. 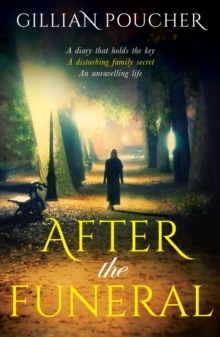 After the Funeral is a gripping debut novel which explores the complex relationships between three generations of women with sensitivity and compassion.